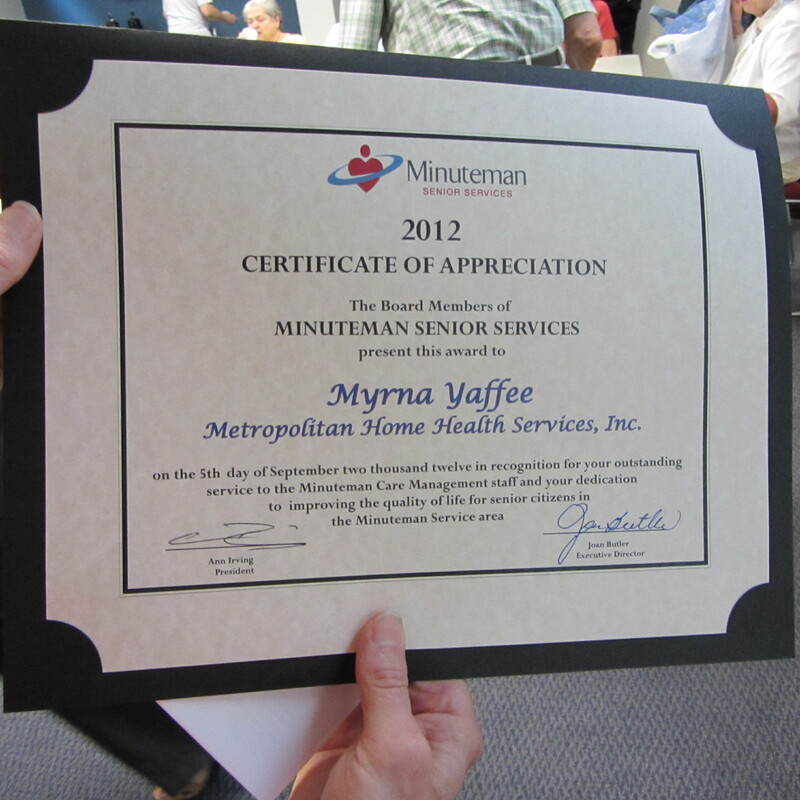 Congratulations to Myrna Yaffee for receiving the Certificate of Appreciation award by Minuteman Senior Services. 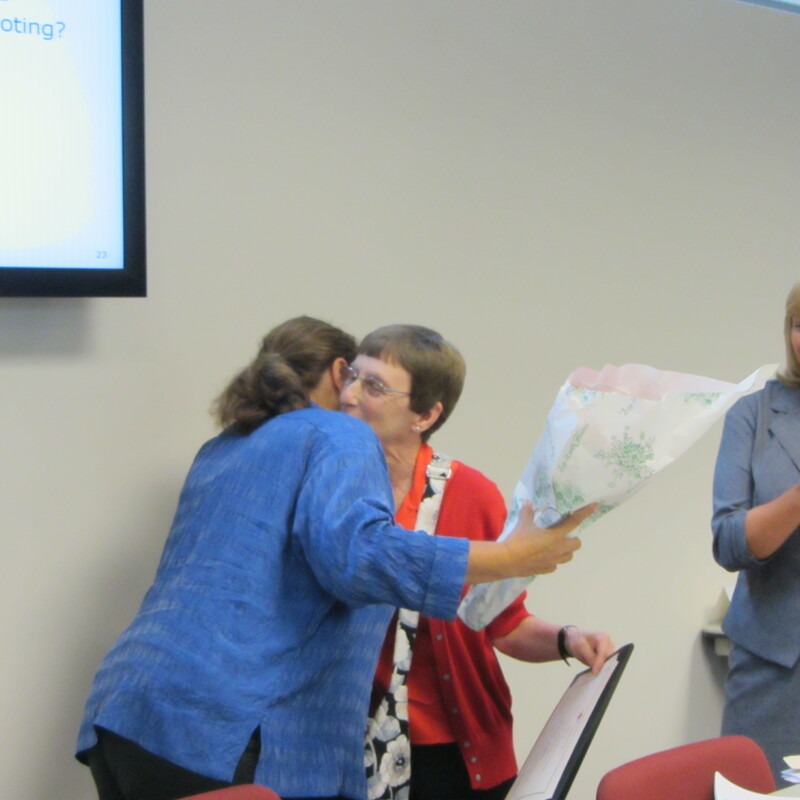 Myrna was recognized by Minuteman Case Managers for her outstanding customer service at their monthly board meeting. 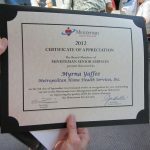 Metropolitan Home Health Services, Inc. staff that attended the ceremony included: (Front) Myrna Yaffee. 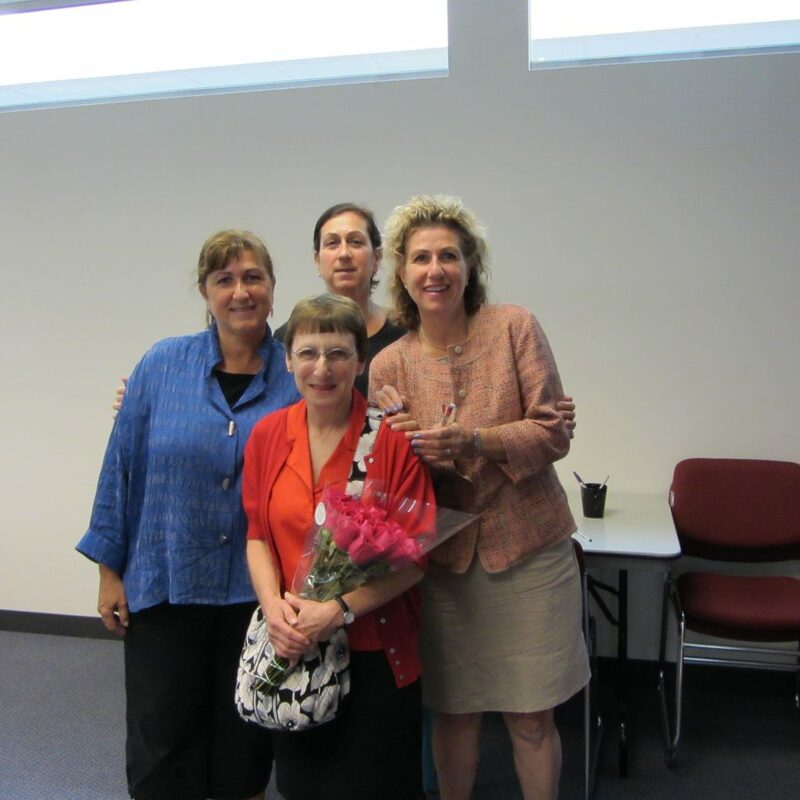 (Back, left to right) Yvonne Arpiarian, RN, BSN Director; Sonya Arpiarian, RN Administrator; Roslyn Arpiarian, Outreach Coordinator. “The service coordinator is responsible for the coordination of services between the consumer and the direct care workers and for the continuous fulfillment of the schedules to best meet the consumer’s needs. The service coordinator also works closely with consumers care manager to ensure consumer satisfaction with services”. Myrna has been with MHHS for a while and is professional and available. She will always get you an answer via telephone or email. She has a great personality and deserves to be recognized. 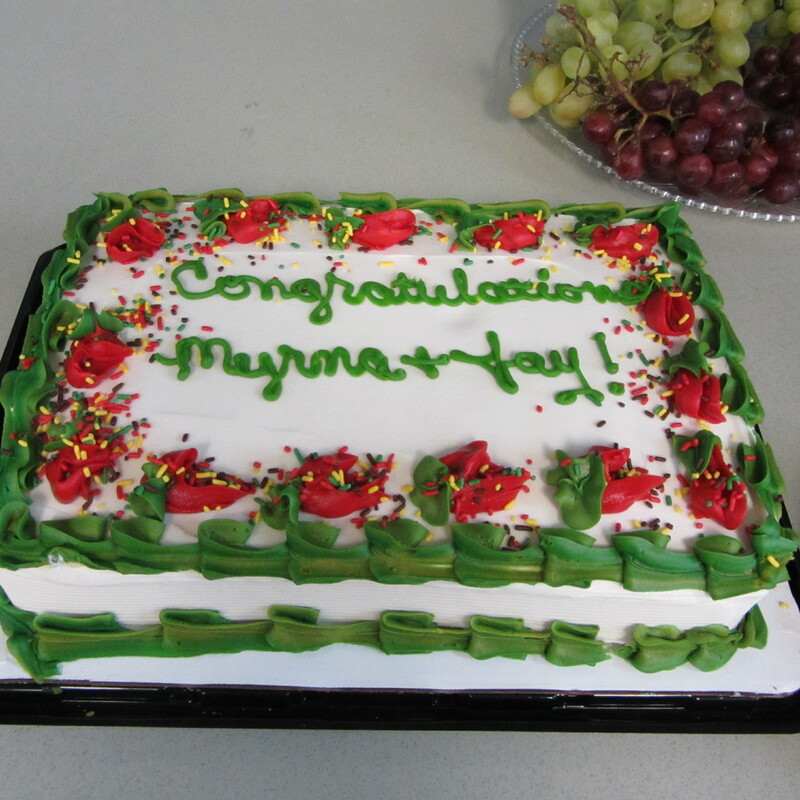 Myrna is always on top of things and lets me know what’s going on with my clients. 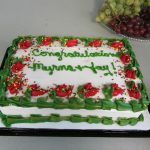 Myrna has worked at Metropolitan Home Health Services, Inc. as a coordinator for 14 years. We are so happy to have Myrna as part of our family team.